Ginger is a traditional home remedy that witches are well aware of. Ginger can help you with nausea. If you have an upset stomach from for example pregnancy, motion sickness, or chemotherapy, try to add a little ginger to your food. Ginger is a very powerful antioxidant. It works as a miracle herb because of its blocking the effects of serotonin, a chemical produced by both the brain and stomach when you’re nauseated. Ginger helps to stop production of free radicals, which is another cause of upset in your stomach, not to mention cancer. There have been studies that compare ginger favorably to Dramamine, the commonly used motion-sickness medication. Add a healthy amount of ginger to your diet and you may decrease your blood pressure, reduce arthritis pain, and even minimize your cancer risk. Since it helps to regulate blood flow,ginger may help lower blood pressure. Gingers anti-inflammatory properties eases arthritis pain too. Ginger is just a wonderful miracle herb. You should always include a bit of ginger in your healthy goddess diet. Since ginger has been shown to help reduce nausea, pain and even cancer risk, why not add this spice to your food every now and then. Ginger extract has been shown to have a significant effect on reducing pain in patients with osteoarthritis of the knee. These amazing anti-inflammatory powers of powdered ginger may even help kill ovarian cancer cells like chemotherapy does. Healthy diet has a huge impact on your ability to fend off cancer. There have been test tube studies that show ginger and certain foods in the diet does influence cancer cells. While not a cancer cure, the indications from university studies that ginger may have significant therapeutic benefit for ovarian cancer patients can make you decide to add ginger to your diet. You can reap the benefits of ginger safely by simply eating it on occasion as part of your normal healthy diet. So long as you aren’t allergic to it, you can shave ginger into your vegetable drinks or cook it with your stir fry. Some people love the yummy shaved ginger that accompanies sushi. Even if you don’t eat fish you can have vegetarian sushi roles with the ginger slices. Try Whole Foods juice bar every once in a while. You will find fresh ginger as a core ingredient in the organic smoothies because it adds a cool, fresh, tangy taste to the beverage. 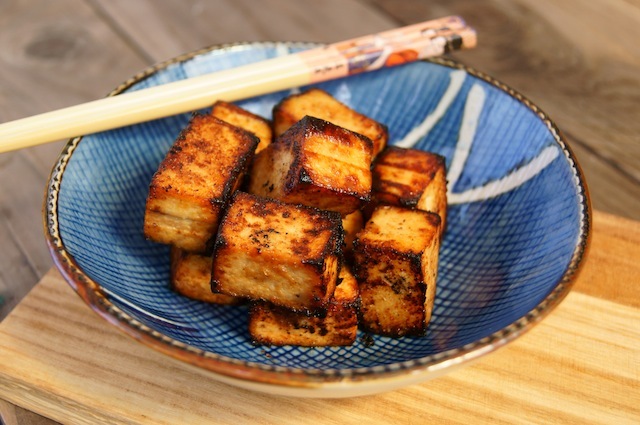 Try a ginger tofu recipe, as vegetarians savor this yummy dish.